We love our pets with all of our hearts, there’s no question about that! But when it comes to protecting their heart health, many owners are in the dark. Knowing how to keep your cat or dog’s heart healthy will help them live longer, happier lives! To learn more about cat and dog health, we sat down with Dr. Lauren Jones, VMD who is also a PetCoach writer, to chat about tips to prevent Heart and Heartworm Diseases. When choosing a food for your dog or cat, an important thing you can do is make sure the label mentions a complete and balanced diet. You also want your pet to have a healthy vitamin and mineral balance in their food to avoid any deficiencies. How do you know if a food is balanced and has the right vitamins and minerals though? Dr. Jones advises her patients to “Look for a statement on the bag that says ‘complete and balanced.’ If there is an AAFCO [Association of American Feed Control Officials, an association of local, state and federal agencies charged by law to regulate the sale and distribution of animal feeds and animal drug remedies.] statement on the bag, this means the food actually provides all the benefits it claims to provide.” If you don’t see this statement on the bag, it may be a supplemental food. A supplemental food is meant to be added to a balanced meal to provide additional nutrition. 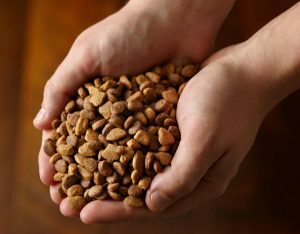 Many people are not aware of the difference and in turn wind up feeding their pets a food that lacks imperative nutrition. One of Dr. Jones’ favorite foods to recommend to both her cat and dog patients is Purina Pro Plan because there are a wide range of options for every type of pet and each formula contains important vitamins and minerals for a healthy dog or cat. Check it out here. You can also learn more about pet nutrition by checking out our Cat & Dog Nutrition Page! Keeping your pet’s teeth clean does more than just prevent bad breath – it protects their hearts too! “There’s definitely an association between Endocarditis and Dental Disease. Extra plaque and extra tartar build up in the mouth and that backup can settle into the heart,” says Dr. Jones. To prevent any dental issues, it’s important to brush, brush, brush! It may take a little extra time and your pet may not love it, but it’s crucial to their health. Still not convinced? 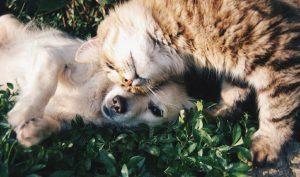 Check out these articles from PetCoach about why you should brush your dog’s and cat’s teeth! If brushing daily is still way too much of a task, Dr. Jones says that “anything is better than nothing! You should brush at least a few times a week. Every 6-8 weeks at the groomer doesn’t do enough.” She also advises to maintain regular vet visits to asses dental health because every animal is different in how fast plaque and tartar build up. While Heart Disease is not always preventable, Heartworm Disease is. “The American Heartworm Society suggests pets get checked for Heartworm once a year and are on monthly medicine year round. It’s a lot easier to prevent and than to treat,” says Dr. Jones. 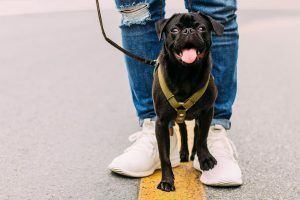 While prevention can be done with one oral or topical treatment per month, the process of getting rid of Heartworm Disease is a lot more trying. Dr. Jones explained that medicine is given gradually so that the worms do not block the blood vessels in a pet’s heart. The approach is slow and requires repeat dosing, not to mention a large expense. Do your pet a favor and keep them treated all year round, especially if you live in a warmer climate. They say knowledge is power, so make sure you are aware of the signs and symptoms of both Heart Disease and Heartworm Disease. For Heart Disease in dogs, “you may notice coughing. Exercise intolerance is another symptom. 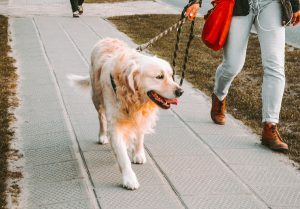 If your dog normally goes on 3-mile walks and now they’re huffing and puffing up the driveway, that’s a sign,” says Dr. Jones. She also warns to look out for a pot-bellied appearance, lethargy, and a decrease in appetite. For cats with Heart Disease, Dr. Jones cautions that they usually have no symptoms. Occasionally you’ll notice a cough or lethargy, but they generally don’t show any signs, which is why regular vet appointments are so important. 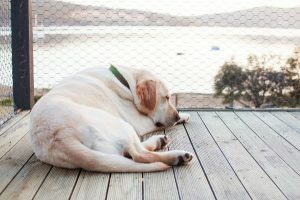 For Heartworm Disease, which is much more common in dogs than in cats, you should also be on the lookout for coughing and lethargy, especially in younger dogs. If you are concerned that your pet may be showing signs of either disease, consult your veterinarian as soon as possible. 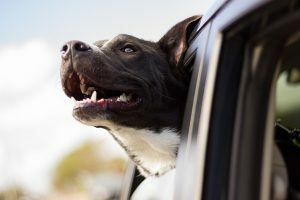 Your pet’s heart health might not be something you think about every day, but with these 5 easy tips, you can incorporate small changes into your daily routine that prevent Heart Disease and Heartworm Disease. For further reading, check out PetCoach’s articles on Heartworm Disease and Heart Disease. Have any questions? Feel free to leave them in the comments and we’ll get back to you.